Svelte, is Crosswater’s latest comprehensive range of solid brass basin, bath and showering products. 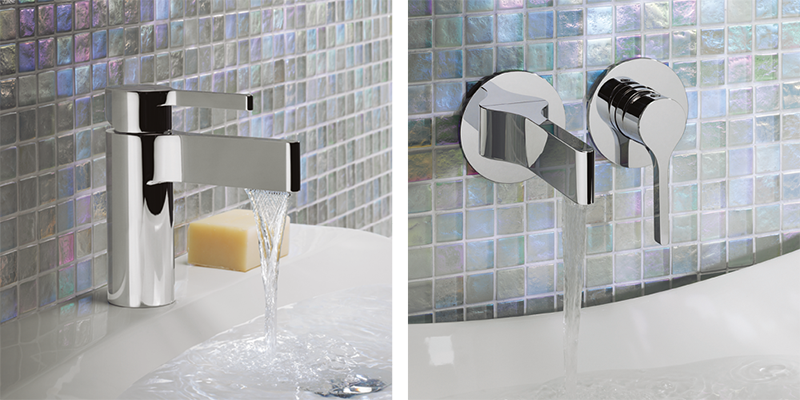 The sleek design of the tap spout delivers a thin blade of water, which is easily controlled by the single, equally slim control lever. Svelte comprises all basin variations; a low-pressure standard mono mixer, an extended height version for vessel basins, a wall-mounted option and a “mini” basin tap which is perfectly proportioned for smaller cloakroom or en suite basins. For bath filling a wall-mounted bath spout and matching deck mounted panel valves are offered. Showering options from Crosswater are strong and varied. Svelte’s lever set will suit each of Crosswater’s extensive range of recessed shower valves from single to three outlet options. As always delivery is available ‘next day’ throughout most of the UK via Crosswater’s own delivery fleet.